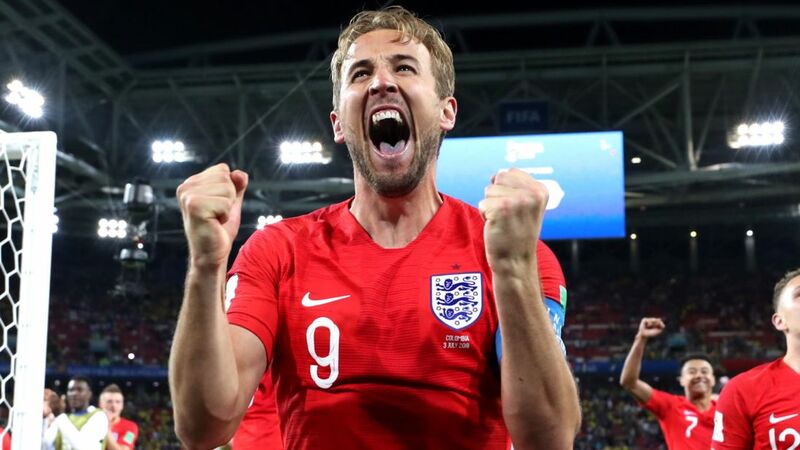 Harry Kane says England "grew up" as a team during their penalty shoot-out victory over Colombia in the World Cup last 16 on Tuesday. The England captain scored the team's only goal - also a penalty - in the 1-1 draw, before scoring again in the shoot-out in Moscow as Gareth Southgate's side progressed to the quarter-finals in dramatic style. It was England's first World Cup shoot-out victory and only their second in a major tournament, and the Tottenham striker says the impact on the young side will be huge. "We spoke a lot about being an inexperienced, young team, but we grew up a lot on that pitch tonight. It was mixed emotions, highs and lows, even in the penalty shootouts. The boys were fantastic," he said. "Penalty shootouts are a lot about mentality, and obviously we know England haven't done great in the past, so it was nice to get that one off our back and it'll give us huge belief going forward." Kane, 24, is still top scorer at the World Cup with six goals in his three games played so far, with England facing Sweden in the last eight on Saturday at 3pm in Samara.